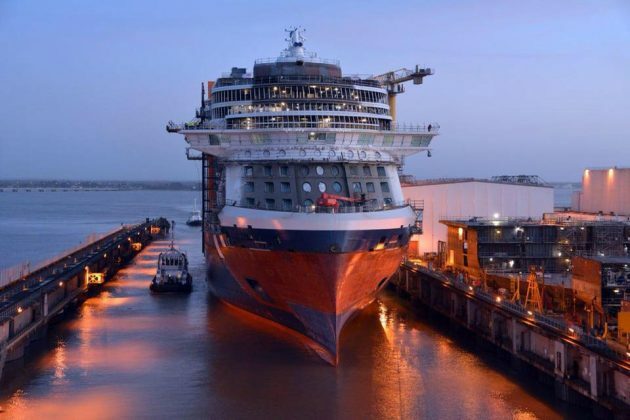 Celebrity Edge construction photos as ship is floated out for the first time at the STX shipyard in France and reaching a major milestone for Celebrity Cruises. 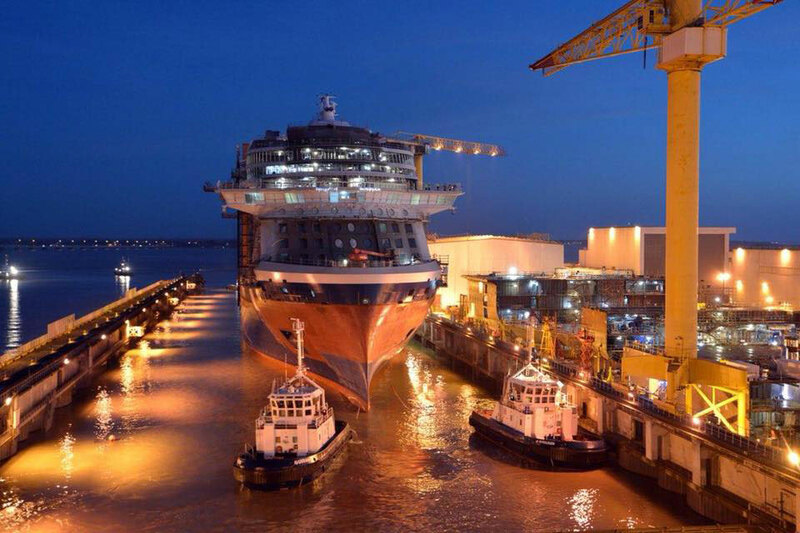 Celebrity Edge has been floated out onto the water for the very first time at the STX France shipyard. 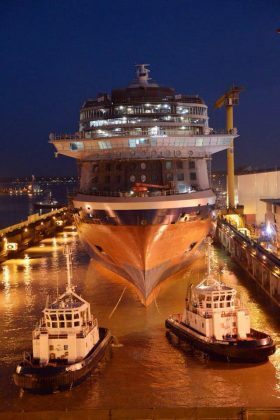 This much anticipated new class cruise ship for Celebrity Cruises marks a major construction milestone with more still to come. 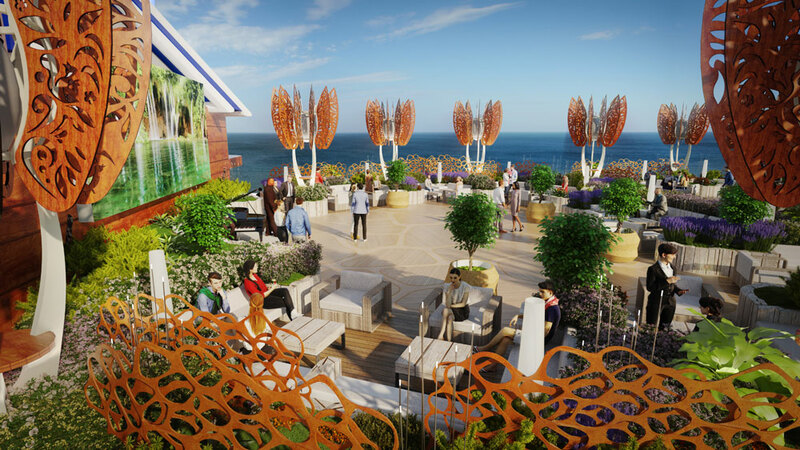 Celebrity Edge is one of the most anticipated new cruise ships in 2018 and the Celebrity ship has already received a huge amount of attention due to its innovative new design and onboard features. 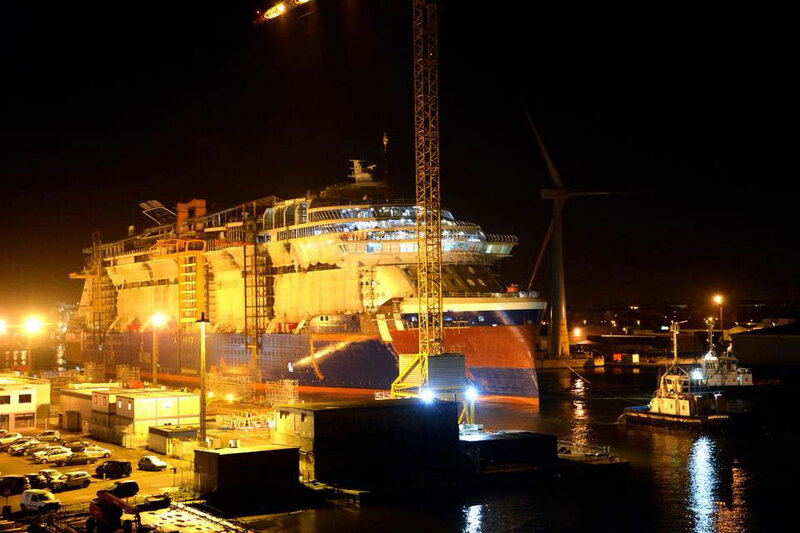 This is also the first official glimpse of the upcoming vessel while under construction at the shipyard in Saint-Nazaire, France. We won’t delay you any further, take a look at the new Celebrity Edge photos below during the float out. The float means that Celebrity Edge touched water for the very first time and is no longer in a dry dockyard. This also marks a major milestone in the construction process where the vessel will be docked on water as the fitting out phase begins. Over the coming months, the interior spaces will start to take shape with workers bringing the first new Celebrity cruise ship in 10 years to life. The ships first block was laid back in June 2017, take a look to see how far construction has come along. 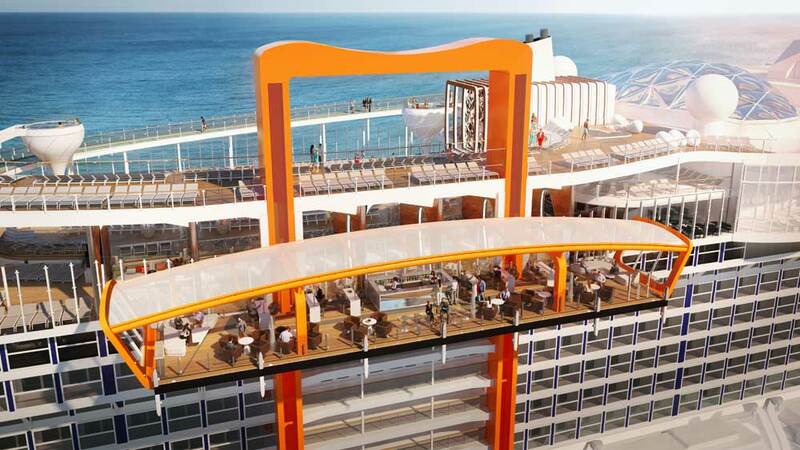 Check: Begin Checking Cruise Deals for Your Celebrity Edge Cruise. 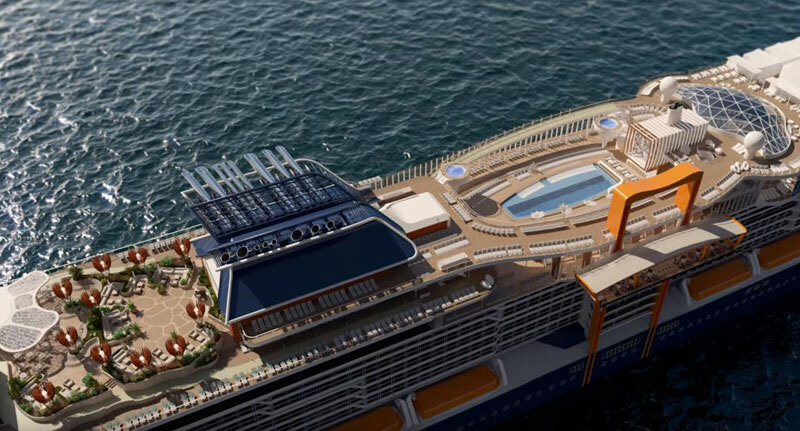 Celebrity Edge will be completed at the end of 2018 and will actually arrive earlier than first expected. 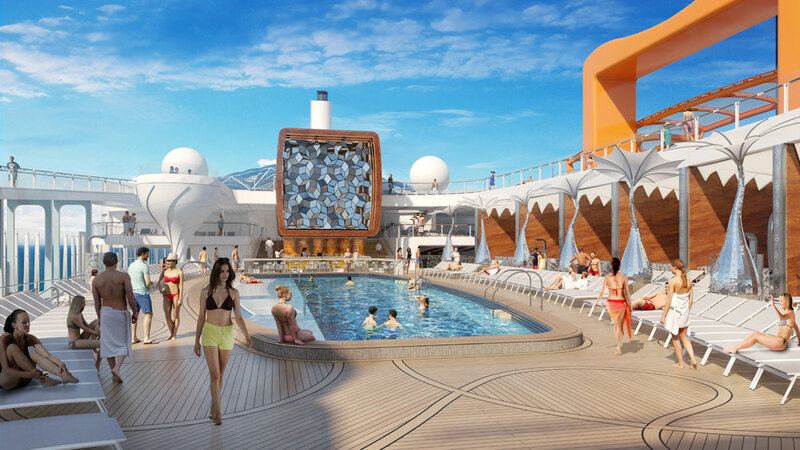 The cruise line recently announced newly added preview itineraries, just to makes us even more excited about the innovative Celebrity cruise ship! The new ship will debut from Fort Lauderdale, Florida on November 21, 2018, the first of five newly added sailings. The first voyage from Florida will be a 3-night cruise to Nassau, Bahamas. The ships regular service will officially depart Port Everglades on December 9, a 7-night cruise to the Eastern Caribbean including calls in Key West, Cozumel, Costa Maya and in the Cayman Islands. 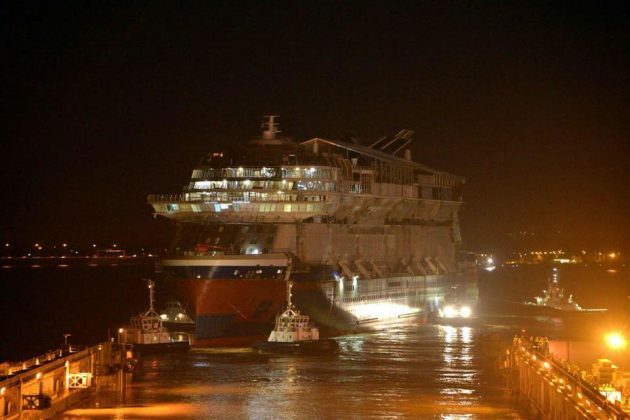 The ship will offer week-long Eastern and Western Caribbean cruises from the popular port. 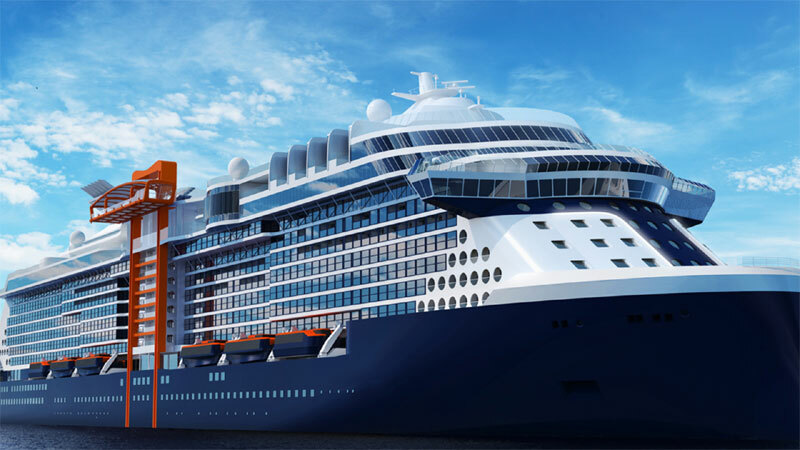 Celebrity edge will start its new deployment in the Meditteranean in 2019 with a range of 7-night to 11-night cruises from Barcelona in Spain and Rome in Italy. 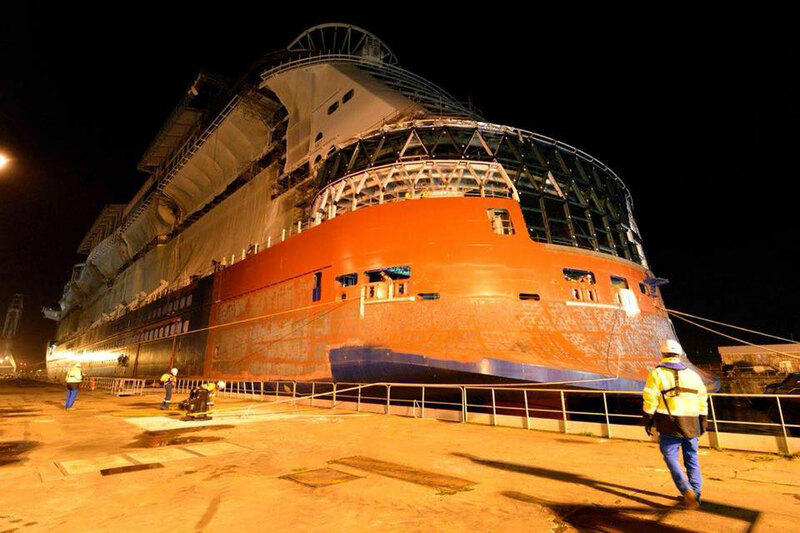 The upcoming cruise ship will be the first in its class with another three sister ships arriving in 2020, 2021 and 2022. Celebrity Edge will be 117,000 gross tons and be able to carry over 2,900 guests. Find out what will be onboard the ship including the innovative Magic Carpet, a floating platform which can move up and down the side of the ship.